Please include all text and customizations for your order here. What year do you want for your penny? This listing is for One Penny, with ONE Word or Date stamped on it. It comes with one key ring attached. If you are using it for a jewelry pendant please request "jewelry jump ring" during your checkout notes. Your penny will look similar the "MIKE" or "ann" penny shown in the main photo. The drill hole size and placement may vary from the photos. THIS LISTING INCLUDES 1 - 6 characters. 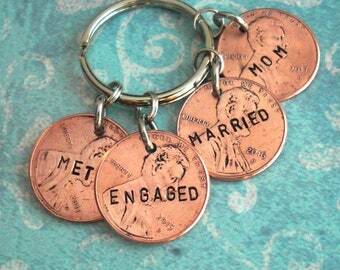 ♥ First, let me know what year you'd like, or if any penny will do! I have been collecting pennies, and most years 1970 - 2017 will be available. Please understand that all years are not available. ♥ Second, let me know what you want stamped on it. ☼ Do you want Uppercase or Lowercase letters? I will choose randomly for you if you don't let me know during checkout. ♥ Third, I polish all those years of memories and traveling the world right off (I'm just polishing off the grime, it still has those memories!). 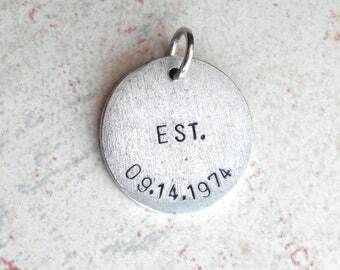 ♥ I stamp it, then antique it, and drill a hole and add the jump ring for you. Just click on "keep shopping" from your cart and add anything from my shop! 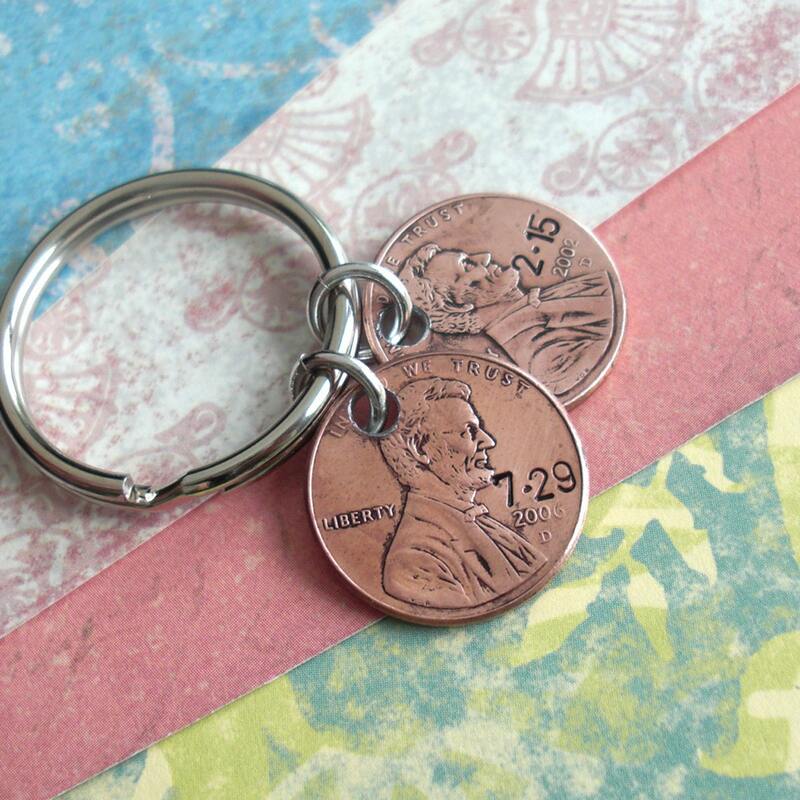 ☼ Even Pennies are Plated! Don't be surprised if you see base metal or silver colors on your penny, or if the plating wears off over time. -:|:- I have more quantities available; just send me a conversation and we'll chat. 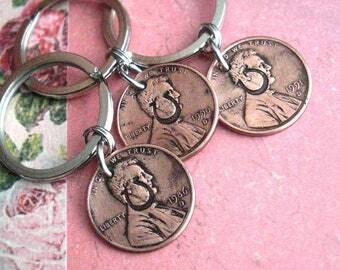 Check out my other listings in the "charms" section to add lots of other charms to your order. To help it last longer please do not wear your jewelry in water.